Review the Karbonn K450- the phone with two LCD screens- here in this page that also specifies the phone�s price, features and technical specifications. Here�s a new innovation- two LCDs screens on the same candy-bar phone. Yes, the Karbonn packs in a sub LCD display in addition to the large 2.2-inch primary display. 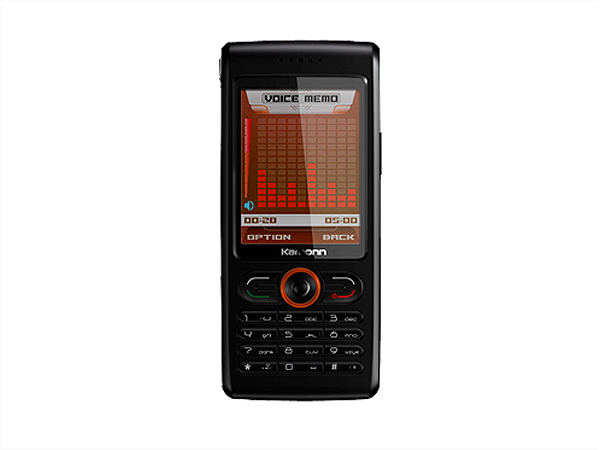 This gorgeous looking set also sports all round media capability including a 1.3MP camera, music player and FM radio. The phone is also GPRS enabled and the large screen is excellent for surfing wap sites.